That is my name, and that’s what almost everyone in my family and all my parents’ friends still call me. I never formally dropped the “Ann.” It’s just that when I started school, my teachers didn’t use it (even though my grade school papers clearly show it on that top line where you put your name). My new classmates and friends didn’t use it. And so, outside my family, I just gradually became Carol instead of Carol Ann. Apparently, though, this really bugged my mother, even though, as far as I knew, the name “Carol Ann” didn’t have any special meaning for Mom, except for the fact that that was the name she and Dad had picked out for me. But, there are three members of my family who have never called me either Carol Ann or Carol: my three younger brothers. They have always called me Sis or Sissy, and they call me that to this day. Growing up, some of my brothers’ friends didn’t even know I had another name. In fact, that’s the name we settled on when we were discussing what Margo should call her aunts. I became “Aunt Sis,” and that’s what all my nieces and my nephew call me. And I love that name. It’s a name given to me by the people who have loved me the longest. It’s a name that shows where I fit in my family—how my family thinks of me and how I see myself in relation to them. And it continues a sense of relationship with its new generations. Names are meaningful. Names may be chosen simply because they sound appealing, or they can be loaded with dreams and expectations, like Faith, Hope, or Grace. They may have been in the family for a long time or tell something about our heritage. They may come from the Bible or another beloved story. They may honor a loved one who has passed away, or a hero, past or present. 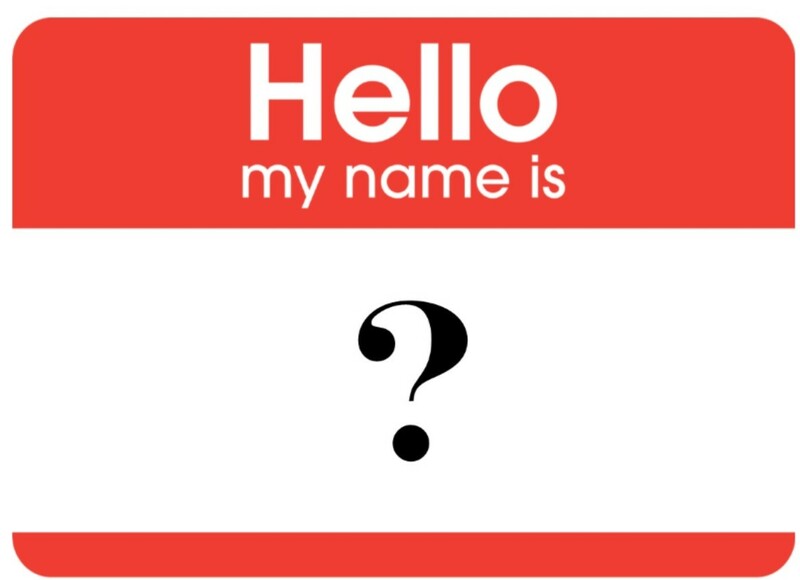 Our names identify us—partly by reflecting our identities and partly by shaping our identity. And the names we use for others reflect how we understand who they are. 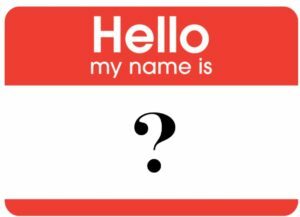 Our passage for today begins with Jesus asking questions about his perceived identity—who the people around him think he is-in a sense, what name have they given to him. Jesus had recently fed the four thousand on a mountainside near the Sea of Galilee. Afterwards, he had gotten into a boat and crossed into the area of Magadan, which may have been about midway between Magdala (where Mary Magdalene was from), and Capernaum, Peter’s stomping grounds. Conflict had begun to heat up—Jesus had been rejected in his own hometown of Nazareth. The Pharisees were beginning to challenge his authority. Now, he and the disciples have travelled to the city of Caesarea Philippi, north of the Galilee. If there were a place less likely to know who Jesus was, it would be hard to find. Originally the city had been founded as a cultic center dedicated to Baal, and the Greek god Pan was also worshipped there. Later, after the Romans took over and put Herod the Great in charge, Herod built a temple of Zeus there in honor of Caesar Augustus. After Herod the Great died, and his son Philip took over, Philip enlarged the town and renamed it Caesarea Philippi (in honor of Tiberius Caesar—and himself, of course). The writer of Matthew (who wrote in the late part of the 1st century) knew that Caesarea was a favorite vacation spot for the Roman general Vespasian, who had begun the siege of Jerusalem in the year 66. When Jerusalem fell, the army returned to Caesarea Philippi to celebrate their victory by throwing some Jewish captives to wild animals. The gospel writer identifies the city as the setting of the story, because he knows that for his readers, living near the end of the first century, the city’s name will have vivid associations. It’s in that pagan city, a city that was dedicated to all that the kingdom of God is not, that Jesus chose to have a conversation about his identity with his disciples. “Who do people say that the Son of Man is?” he asks. I can imagine the disciples gathered around him, maybe feeling relieved that they are on safe ground here. They know what people are saying. Some say Jesus is John the Baptist, some say Elijah, or Jeremiah, or one of the other prophets. Interestingly, these identifications show that the people think pretty well of Jesus. The names they list are all prophets, but not only that, they would have to be resurrected prophets, if one of them is walking around as the man called Jesus. Naming Jesus as a prophet is not incorrect; Jesus himself had referred to himself as a prophet. So, the people aren’t completely wrong, but their identification is certainly inadequate. Jesus addresses this question to the whole group. Maybe there was a long quiet pause after that as they thought about how they would answer. They had heard him teach; maybe they were remembering the sermon on the mount. They had seen him heal—a leper, a paralyzed slave, people with demons, a bleeding woman, people who couldn’t see or speak, people with all kinds of ailments. They had witnessed miracles—the feeding of thousands, a child raised from the dead, the calming of a storm. They had travelled with him, eaten with him, and been sent out by him to do the same things he did. How should they answer his question? Jesus had posed the question to all the disciples, but no one spoke until good old Peter, never afraid to take a shot, speaks up. “You are the Messiah, the Son of the living God.” Imagine how Peter would have felt at Jesus’ response: “Blessed are you, Simon son of Jonah! For flesh and blood has not revealed this to you, but my Father in heaven.” Peter has hit the nail on the head. He’s seen all the same things the others have seen, experienced all that they have experienced, but something more has been revealed to him. Like the others, he has seen in part, but now the identity of Jesus has been made fully known to him, not through his own limited human observation and experience but by God alone. What a strange new name it is. We know “Peter” as a pretty common name; until the late 90s it was one of the top 100 most popular boys’ names. But when Jesus renamed Simon as Peter, the word wasn’t used as a name. It was the word for rock. It’s like when my daughter’s softball coach gave her a name that wasn’t a name at all. He started calling her “Rocket” because of her deadly throws to second base. Jesus gave Peter a name that wasn’t yet a name. “Your new name is “Rock,” Jesus says to Peter, and that new name brought with it a whole new identity. This name identifies Peter as someone who is immovable as bedrock. And it is on this rock that Jesus intends to build his church. On the strength of the knowledge revealed to him, Peter the Rock will be the foundation on which the community of faith will be built. And it will like an impregnable fortress on a foundation of a massive rock formation, a community that will withstand anything death tries to throw at it. The knowledge that was revealed to Peter has been passed down to us through Scripture. We know, in our heads at least, that Jesus is the Messiah. We know that Jesus is the Son of God, and that Jesus is God, one with the Father and the Holy Spirit. We are part of the community of faith that grew from Jesus’ choice to build his church on the rock of Peter’s faith. But, imagine Jesus looking at us today and asking us—each of us—“Who do you say that I am?” How would we answer his question? Perhaps we have seen Jesus’ healing hand at work—healing hearts and souls and maybe even bodies when they are broken or breaking, and we would say, “Jesus, you are the Great Physician.” We’ve had those moments when we don’t know what to do or where to turn, and our thoughts turned to his words for instruction. So we might say, “Jesus, you are my Teacher and Guide.” We’ve been lonely, and grieving, and discouraged, and he’s been there with us, and so we might name him “Comforter, Friend, and Encourager.” We’ve undertaken work in his name, trying to follow his example, and so we might name him as our leader. But would we be able to answer, with the same confidence that Peter had, “You are the Messiah, the Savior”? When we can give that answer and truly mean it, we rejoice in our inmost being, knowing that his identity has been fully revealed to us and that we have embraced it with our entire souls. We realize that we can call him all those other names because they grow out of who he truly is: the Son of the living God. We begin to draw on the power of that name, to resist the power of evil wherever it presents itself, to live Christ-like lives, to worship God with passionate hearts, to serve others in his name, and to live with the deep peace that comes with knowing that he is our all-in-all. When we are able to wholeheartedly give answer, “You are the Messiah,” we are given a new name, too. It is the name “Christian.” It is the name that says we have made a commitment to Jesus. It is the name that says we belong to his church, not because our family has always been here, or our friends are here, or because we like the activities and projects we can participate in together, but because we are bound together by the knowledge that Peter declared. It is the name that gives us our identity: that we are Jesus’ own family—that we live the way we do, serve the way we do, and love the way we do, because we belong to him. When we claim Jesus’ name, we join with Peter and all those who have gone before us to be the building blocks of Jesus’ church. As our own faith grows, rooted and grounded in the knowledge of Jesus Christ and his love for us, his church grows and becomes stronger, and none of the death-dealing ways of the world throws at it will destroy it. The name “Christian” is used by and applied to lots of people, but it is not always an appropriate name. Certainly, those who advocate white supremacy and violence cannot in the same breath call themselves Christians. But there are lots of good people in the world—lots of people who care for the poor, live in upright and honorable ways, are trustworthy and kind and loving. Some of them are even loyal members of the church. But they have not yet come to know Jesus as anything more than “Healer,” “Teacher,” “Guide,” and “Friend.” There are many wonderful names that can be applied to these good people, but “Christian” is not one of them. John Wesley had a name for them: the “almost Christians.” For it is only by fully acknowledging and embracing Jesus’ true identity that we can bear that glorious name of Christian. Of course, even after making our declaration as Peter did, we often fail to live up to our new name, as Peter did. I know it’s true of me, and that’s why I find Wesley’s sermon about “Almost-Christians” so disturbing—I too often see myself there. But it’s then that we remember that, when Peter failed, Jesus forgave him and welcomed him back. At the end of John’s gospel, Jesus first speaks to Peter as Simon, asking him three times if Simon loves him. Three times, Simon answers yes. Three times Jesus commissions him to tend his sheep. And then he once again invites Simon to follow him. Simon, identified once again as Peter, does. Jesus forgave Peter and sent him out anew with the other disciples to be the church. In the same way, he forgives us, and encourages us, and empowers us to live into the name he gives us, even when we fall. What’s in a name? In the name of Jesus, there is power, and love, and life, and salvation. In the name of Christian, there is commitment, and community, and freedom. What answer do you give when Jesus asks, “Who do you say that I am?” And what name do you carry as a result of your answer? As we name Jesus as the Messiah, Son of the Living God, our Lord and Savior, we are given a new name, and we become the living stones which build the church of Jesus Christ. Amen.